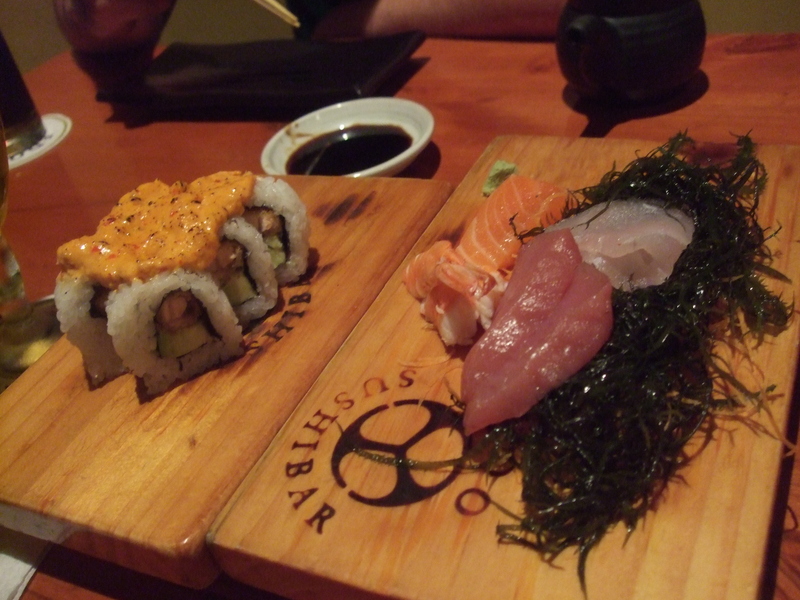 Edo Sushi Bar – Lima, Peru | rubybeanx. Peru is home to the potato. Fact. The first potato was proudly farmed here over 8000 years ago using ingenius irrigation methods to utilise the hilly landscape of the Andes. Then the Spaniards came in the mid 1900s and inbetween conquering land and stealing gold, they thought the potato would be pretty useful and took it home with them and thus it spread around the world as a staple foodstuff. In Peru alone there are over 3500 types of potatoes. Around the world there are over 5000 different types of potatoes. So it’s no surprise that pretty much every dish that’s served up in Peru comes out with at least 3 varietals of potato on a single plate. It’s starchy potato heaven. I love potatoes. But dammit there is such thing as too much potato. To take a much needed starch break, we hunted for sushi. Peru in the 1800s welcomed a wave of Japanese immigrants to work as farmers. The history isn’t all rainbows between the Peruvians and Japanese-Peruvians, but I guess many years on, it’s resulted in some stunning sushi restaurants in Lima. Along with the coastline brimming with fresh fish and a modern metropolis full of tourists and well off citizens – it makes a good combination for expensive sushi restaurants to thrive. One particular restaurant I frequented was Edo Sushi Bar. There are several locations in Lima but I went to the one in Miraflores. Easily mistaken just as somebody’s house, you walk through the huge security doors and you’re greeted by a scene of some 10 staff members preparing sushi in the transparent kitchen. The fish is fresh and intricately prepared to please both Japanese and Peruvian palates. Their sushi contain much more sauces and feature much more fried elements to cater to the Peruvian flavour but still managed to maintain the lightness and delicacy that we craved for after weeks of eating potato. I still don’t quite know what we ordered as the menu was a hybrid of Spanish and Japanese, but our favourite was the “seiji maki” – an indulgent sushi rolled with tempura seaweed, salmon and a creamy mayonnaise. The atmosphere was lovely and the staff seemed to be pretty patient with our lack of Spanish. It’s expensive compared to the rest of Peru, but fits in perfectly with the high spending climate of Miraflores. It also shares the street with a lot of bars and clubs so it’s not only the perfect place to take a break from potato, but a perfect pre-eats before a big night with the curvaceous and vivacious Liman party crowd. Don’t: worry about dressing up. There’s lots of dressy people in there, but they’re pretty relaxed no matter what you look like – even scraggly backpackers. Do: make a booking, or be prepared to wait for a table during busy times. Sounds like: Capsule – More! More! More! Tags: Japanese, Lima, sushi, sushi restaurants. Bookmark the permalink.